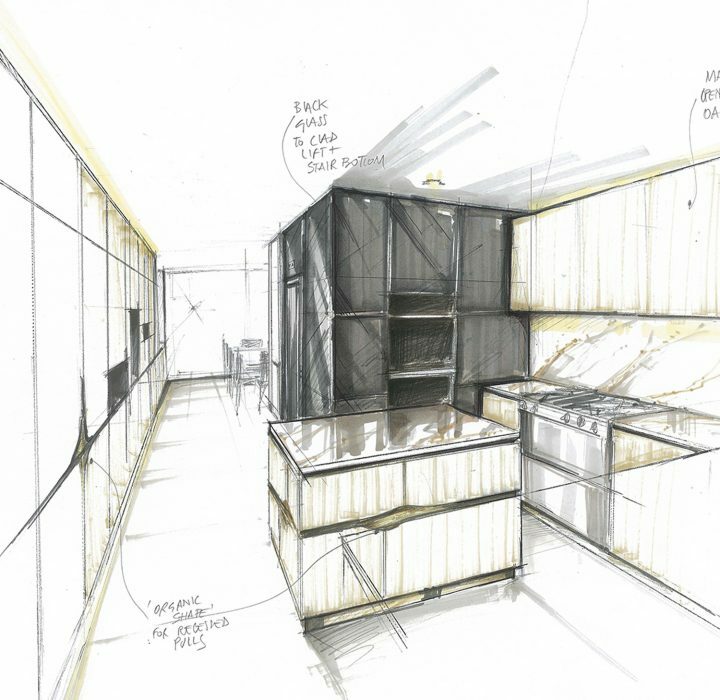 Studio Indigo have begun the preliminary design stages for a 2,650 sq.ft terraced house in Chelsea. It will undergo a complete refurbishment including the interior design. Crucial to this is obtaining approval from the borough so that construction can begin later this summer. The key architectural challenge of the project is the combination of a cantilevered staircase, cladded in stone that wraps around the lift core. The stairwell and lift develop through 5 floors. The interior design will reflect a contemporary and minimalistic style much loved by the Clients’ which will maximise the sense of space in this terraced home. Completion is planned for late 2019.